Just about an hour from the hustle and bustle of the commercial luxuries of Destin, Florida – there is a world apart from the rural, yet exclusive suburbs of Northwest Florida. While getting to know Joseph over the years, his most candid memories and tales surrounded his experiences in Holt, Florida with the Yearty family and I was given the opportunity to get an upclose glimpse of his past and the people who helped create this amazing man with an endless supply of talent, conviction and tenderness. Heather’s wedding was the fabulous excuse for Joe to finally introduce his new family, to the rest of his first family. I was originally going to write a seperate blog for Heather’s wedding event, but Joe doesn’t want to give anyone any crazy ideas that he might be interested in shooting weddings – he’s not doing it unless you are a qualified family member whom he cares about deeply. Please be advised that he’ll let you know whether or not he cares about you deeply and his general easy going nature might confuse some biologically connected aquantances that they might qualify for this category when in actuality he might be more inclined to shoot the postman’s daughter’s wedding. No offense intended. Reality bites. 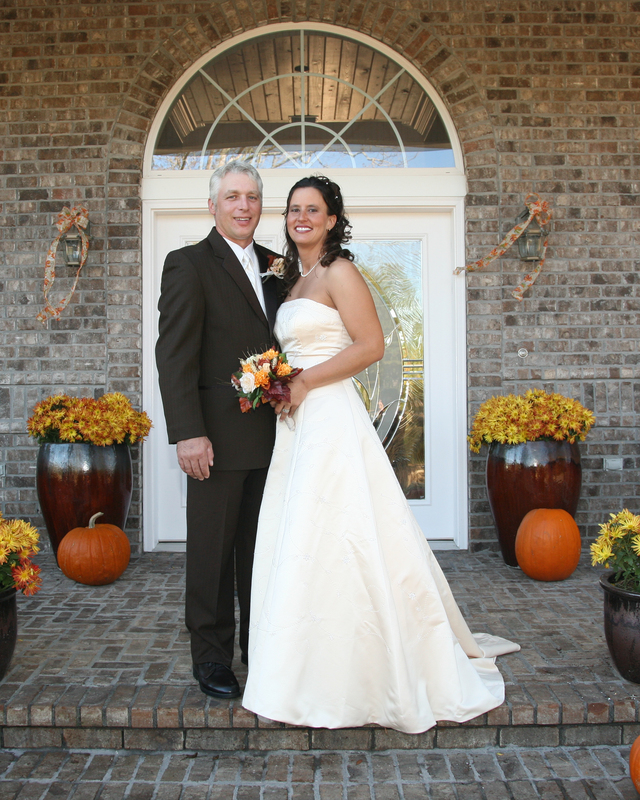 As for the Yearty-Happel wedding – Heather was absolutely stunning and the venue was surprisingly elegant for Crestview, Florida. The crowd was eclectic – with colorful characters from all walks of life, yet everyone was the same – great people with great hopes for Heather and Tony. If Heather wanted a beautiful, yet casual wedding with a relaxed atmosphere, family, friends and laughter – then the execution was perfect. The Yearty household was absolutely my favorite part of the weekend. My nerves were on edge all week, it’s never easy walking into someone’s past and hoping that you are accepted as a missing piece of a puzzle. Aside from being slightly startled by the Applejack’s snack habits, I felt completely at home in Holt around all the members of Joseph’s extended family. Feeling somewhat like a city girl with my awkward unfamiliarity with the horses, donkeys, extremely large pot belly pig, spiders (stop laughing Joe) and complete inability to walk through a field in the dark with any awareness of direction or proximity to trees (one again, stop laughing Joe) – I think I did fairly well with no unidentified bumps, bruises, bites or scratches. After the wedding, all the young adults headed out to The Block in Fort Walton Beach, a three in one bar with a karaoke section, country dance floor and hip hop club. We ventured and remained in the country section all night long (go figure), and had a great time. It was our first opportunity to really go out with Joe’s sister and her husband as adults without the children in tow. Funny does not begin to describe some of the events that occurred as the evening and alcohol progressed. Hopefully, pictures speak louder than words. Joe is not a dancer, at least in public so I was utterly dissappointed that he wouldn’t twirl me around the floor – but I understand his hesitation. Of the two of us, I am much more inclined to make a fool of myself and love every moment. Joe is more calculating and cautious. It is a good balance for our life but I have high hopes that at least one of our life stories will include a dance or two even if it is only in our living room with the Bose system in the background. Thanksgiving is next with a family excursion out to Bedias, Texas. My father and Joe & Tina’s mother will be joining the circus and will surely provide ample comedic content for this blog. All in all – it was an overwhelmingly beautiful weekend with family. Sounds like it was a beautiful wedding! Hev and Tony are two wonderful people.